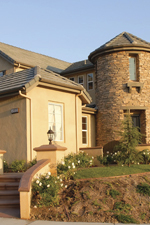 Merit Home Inspectors is the premier home inspection company in the Orange County area. We will provide a professional assessment of the home from the roof to the foundation. Whether you're buying or selling a home, having a professional home inspection from Merit Home Inspectors will give you the peace of mind and assist you in a fair and smooth transaction. Our home inspections typically take about 2 hours long depending on the size of the house and you are welcome to follow along with the inspector. At the completion of the inspection, we will review our findings with you via a laptop slideshow and answer any questions you may have. Then a detailed computer report with color photos will be emailed to you later that same day.